This week I have been to two very different literary festivals. 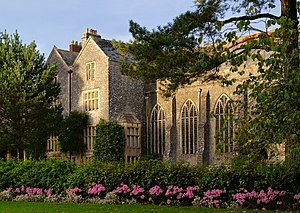 The Ways with Words Festival has been running for over twenty years at the very beautiful Dartington Hall, and is well established. Sponsored by the Daily Telegraph, the speakers, not surprisingly, are authors who have published books that the arts editors consider to be important. The other smaller and more community minded was in the small market town of Chudleigh about six miles outside Exeter. I was one of the organising committee at Chudleigh and we put together a programme that would appeal to both readers and writers. Ways with Words is primarily aimed at readers although many writers do attend in the hope of learning something about the craft of writing from some of the countries most successful authors. Nevertheless I found a common theme in both. One of the workshops at Chudleigh was taken by Chris Waters, a poet and member of the Dartmoor Poets, who provoked us into thinking about landscape by looking at photographs taken by James Ravilious of places and people in north Devon in the 1960’s although they looked like they were from a much earlier period. Later the author Fay Sampson www.faysampson.co.uk talked about her novels which she said were inspired by place, indeed her latest series, the Aiden mysteries are set in the sacred places of Britain. At Dartington Jane Feaver the author of ‘An Inventory of Heaven’ talked about how difficult it was to write about the countryside unless you had lived in a landscape since birth and your family had lived there for generations. She described the land as having no sense of humour. So three authors and three different views on writing about nature. Thank you for your comments. I hope you enjoy your – I assume the Music Festival.